CUSTOMER AND PROFESSIONALS CHOICE - Our NEW 3rd generation dual layer pads are even thicker than before. 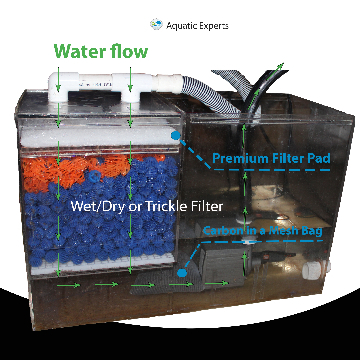 The top layer's open fiber construction traps LARGER PARTICLES while the bottom layer's dense fiber network TRAPS FINE PARTICLES - working together to produce crystal clear water in your aquarium. 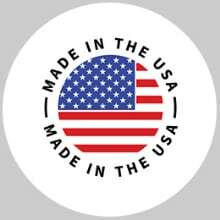 CUT TO FIT - Made in the USA! 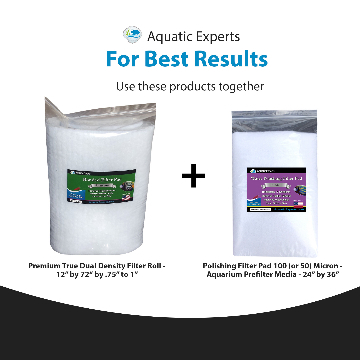 Our PREMIUM BONDED FILTER ROLL can easily be cut to any size needed and WILL SAVE YOU EVEN MORE MONEY over purchasing ready-made, pre-cut filter media. 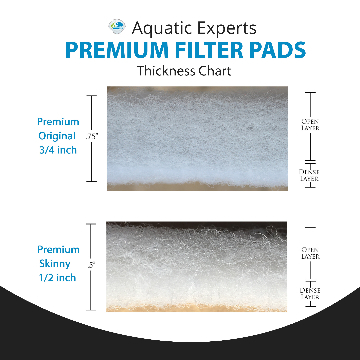 Our premium filter pad is PERFECT FOR FRESHWATER OR SALTWATER aquariums as a prefilter for wet/dry filters, sumps, aquaponics system, and much more. 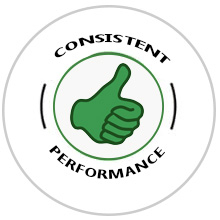 HIGH QUALITY AND DURABLE - Our true dual density media is CONSTRUCTED OF DURABLE POLYESTER FIBERS bonded by our special resin to give it EXCEPTIONAL STRENGTH. The lower section of our pad is made by taking layers of resilient fibers through a process called needling to tighten and entangle the fibers into a dense network producing a thin firm layer, perfect for removing fine debris. 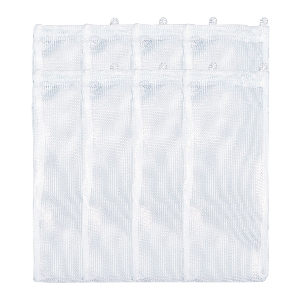 Our premium pads' consistent, reliable design gives SUPERIOR FILTRATION. 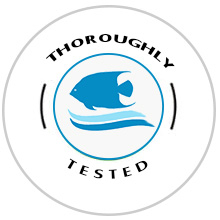 Premium True Dual Density Filter Roll (Thicker) - 12" BY 72" BY 1.25"